Vision Statement (desired future) was launched on April 29, 2018. We are glad you are visiting our site. We invite you to learn more about our parish, and hope that you will come join us in the celebration of the Mass. Please feel free to contact us with any questions by calling 765-463-5733. Interested in learning more about the Roman Catholic Faith? Please click here. Now in its fifth decade, Church of the Blessed Sacrament is recognized as a parish which offers a warm welcome to newcomers. The Sign of Peace is extended with sincere good will in our faith community, a parish which boasts an unusual number of active participants and volunteers. However, many ministries await the talents of parishioners who are willing to share their special gifts with our friendly church family. Our parish had its beginnings in June of 1957, when Bishop John Bennett commissioned Father Donald E. Hardebeck to organize a parish in West Lafayette. In early 1958, the parish received Bishop Carberry’s permission to begin a fundraising drive, and to seek a site for a piece of land to build the church upon. In September, nine acres of the rapidly growing northern section of West Lafayette were purchased, a property bordered by Navajo Street on the north and by the Wabash Shores subdivision on the south and east. 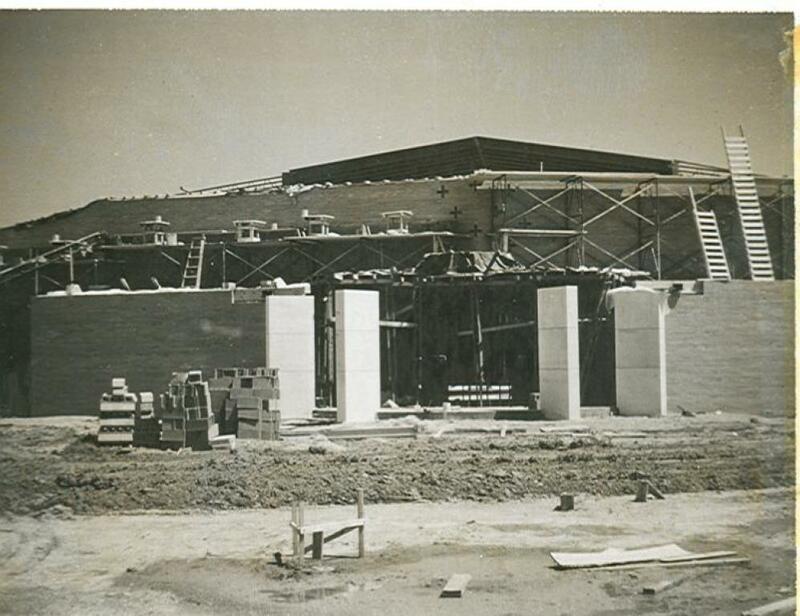 Bishop Carberry presided at ground-breaking ceremonies on March 6, 1961, followed by a cornerstone-laying ceremony held on June 16, 1961. On Laetare Sunday, April 1, 1962, the church was dedicated. With our growing parish family and many social activities, our parish saw the need for a larger parish hall, kitchen, Religious Education Classrooms and a Day Chapel for daily Mass. In August of 1995, under the direction of Father David Douglas and a Parish Building Committee, the addition and renovation project was finished. Bishop William L. Higi formally dedicated our beautiful facility on August 14, 1995. Fr. Douglas was granted retirement in July 2008 and Fr. David J. Buckles was appointed pastor on September 1, 2008. In July 2014, Father Buckles was granted permission to continue his priestly ministry as director of campus ministry at Sacred Heart University in Fairfield, Connecticut. Father Ted Dudzinski was appointed parish administrator on August 1, 2014, by Bishop Timothy Doherty, and was officially appointed pastor on July 1, 2015. Our faith community has grown to nearly 1,000 registered families from many different walks of life. 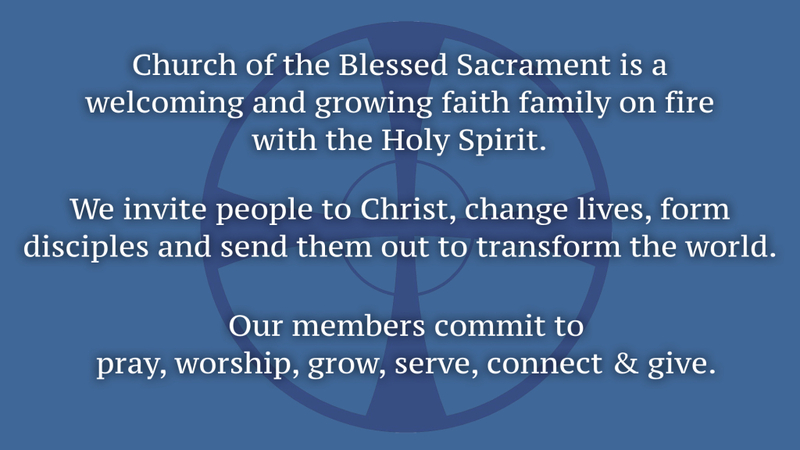 We invite you to explore our many offerings for faith formation, fellowship and fun, and prayerfully discern where you belong in our parish. Welcome!